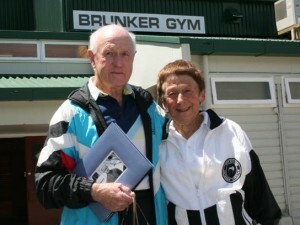 A Life Member of the WBHS Old Boys' Association is someone who has been nominated as such by the Executive Committee in recognition of their service to the Association or to the School, and that nomination is then ratified at an Annual General Meeting or Special General Meeting by a majority vote. Life Membership is not to be confused with Old Boys who have paid a one-off Lifetime Subscription (currently this is $350.00). As far as we can determine those people are listed below. Payment of a one-off Lifetime Subscription means they do not have to pay any further subscription, as opposed to those who have chosen to pay an annual amount. Furthermore there are those who might be Honorary Members of the Association. These are any person other than an Old Boy who is elected an Honorary Member on the recommendation of the Executive Committee and by majority vote of a General Meeting of the Association. Just like Lifetime Subscription Members they too are not required to pay an annual subscription, but may do so if they wish. There has so far been one recipient of an Honorary Membership and that was Bill Mallett in recognition of his services as Chairman of the Board of Trustees and also for his work in helping with the Jubilee, the Jubilee Fundraising Committee and the WBHS Old Boys’ Association Executive Committee. Bill was very active in the years 2002-2009. If anyone has any queries about this information please contact the Old Boys office. Please advise if there are any omissions or if there are names on the list who may have passed away and we have not yet noted those details.